Manish Kashyap is the Regional Managing Director and Head of Advisory & Transaction Services (A&T) in Asia Pacific. Based in Singapore, Manish leads all advisory and transactional services across the Office, Industrial & Logistics, Retail and Data Center product lines. As the leader of this core CBRE offering, Manish oversees 2,000+ professionals across 80+ offices in APAC, and 22,000+ transactions annually. His role includes the development and implementation of growth strategies for the Advisory & Transaction Services business with a focus on financial performance, platform efficiency and global connectivity. Leading in a dynamic corporate real estate space, Manish drives the inception, incubation and implementation of new ideas and products for the Advisory & Transaction Services business, including strategic recruiting, M&A activities and corporate investment as growth strategies. Manish is actively involved in partnering with country leadership and local market professionals in CBRE’s 15-country APAC network to achieve and enhance our market-leading position for the Advisory & Transaction Services business line. He also sits on the CBRE Asia Pacific Strategic Group, the executive leadership board for this region, in the capacity of leading enterprise-wide growth and management initiatives. Manish has now spent 20+ years with CBRE in multiple leadership roles, and remains a key part of the APAC leadership of the firm. In his previous role as Managing Director of Advisory & Transaction Services in India, Manish was instrumental in building the brokerage business across India. 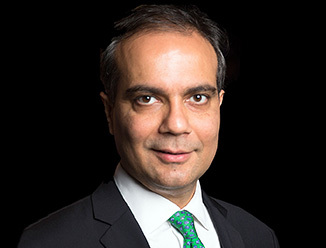 His direction helped shape the company’s growth across the Office, Industrial & Logistics and Retail brokerage businesses in the Indian markets across seven major cities. Under Manish’s leadership, the Advisory & Transaction Services team in India grew from 25 to over 250 professionals, and from less than 1 million square feet to over 100 million square feet of aggregate transactions. He expanded the CBRE India network from three offices to eight across India, and established the Retail and Industrial & Logistics businesses in the country.